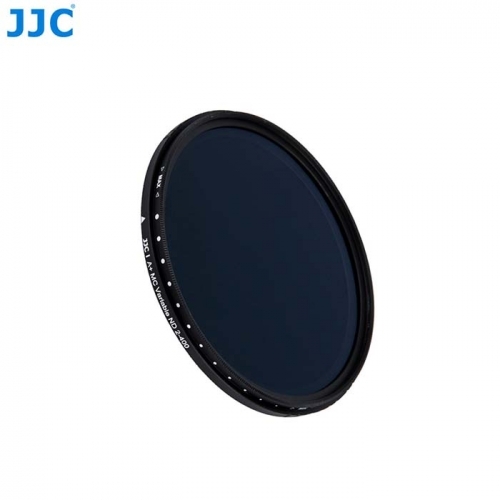 JJC Variable Neutral Density Filter, short for NDV, is a neutral density filter launched by JJC. The variable neutral density is ranged from ND2 to ND400. NDV adopts optical glasses from Japan, there are totally 16 layers of coating on both sides of the glass; the height of aluminum alloy frame is 7 mm. The NDV can reduce the amount of entering lights, but it does not change the original colors, which enables you to represent the photographic field. Product gifts one fine waterproof seal box (except F-NDV82 with the PP box). Suitable for dynamic photographic fields such as waterfalls, streams, waves and etc.